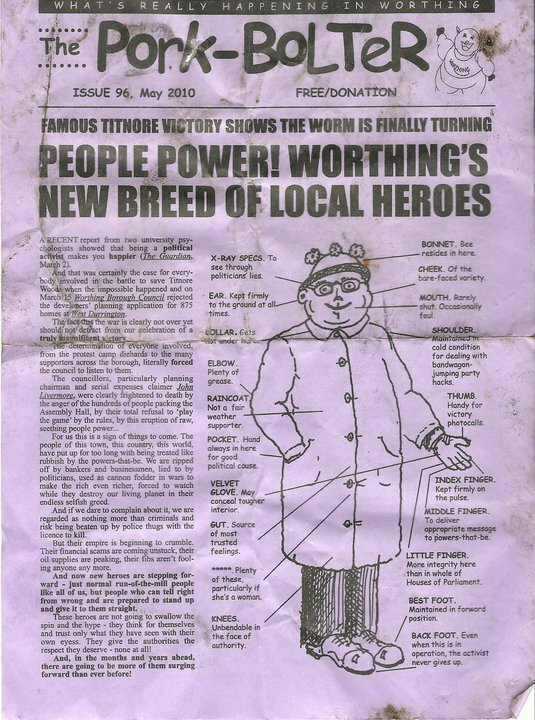 I picked up a eco-anarchist community newsletter , the PorkBolter on the beach in, of all places, Worthing: an odd mix of populist anti-capitalism and surban nimbyism. Apparantly, a ‘pork-bolter’ is a historical name for someone from Worthing. They must have liked their bacon in days of yore, before it became a genteel seaside retirement haunt. Anyone interested in the “Voice of Free Worthing” can check it out here.